Global Business Intelligence (BI) software vendor, Yellowfin, has claimed a Stevie® Award for its BI solution in the Business Applications category at the 10th Annual International Business Awards. The International Business Awards (IBA), announced today, are the world’s premier business awards program and recognize the outstanding achievements of organizations and individuals within the global business community. The Business Applications category recognized excellence in apps produced for a business or government audience, issued or updated since 1 January 2011. All individuals and organizations worldwide were eligible to submit nominations – public and private, for-profit and non-profit, large and small. The 2012 IBAs received entries from more than 50 nations and territories. More than 3,200 nominations, from organizations of all sizes and in virtually every industry, were submitted this year for consideration in a wide range of categories. 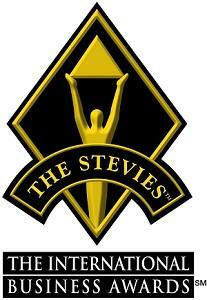 “Entries to the IBAs grew substantially this year,” said Michael Gallagher, President and Founder of the Stevie Awards. “Despite slow economic conditions in much of the world, the quality of nominations was outstanding, demonstrating that there are many companies that are innovating and growing regardless." The awards are nicknamed the ‘Stevies’ after the Greek word ‘crowned’.